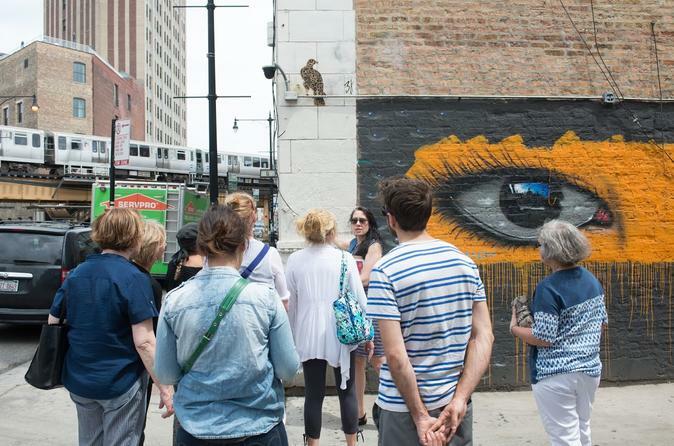 Learn about Chicago’s lively history by visiting two of its most fascinating neighborhoods — Noble Square and Wicker Park — on this friendly, 2.5-hour food and walking tour. Meet your guide in front of the historic Holy Trinity Polish Church and set out on a stroll. You'll learn all about the people, architecture, and dining culture that have made both neighborhoods destination-worthy. First, visit the area of Noble Square that was previously known as “Polish Broadway.” Venture inside the Holy Trinity Polish Church, filled with paintings, gold leaf details, and sweeping arches. Then, set out around the neighborhood, where you’ll notice the juxtaposition between old and new everywhere you go, from taquerias inside former 1930s hamburger joints to old newspaper stands. Indulge in a delicious snack on Ashland Avenue’s “taco row” before sampling home-style Polish fare. Next, hop on the L up to vibrant Wicker Park, which, in recent years, has gone from gangland to hipster paradise. Admire the mansions lining the 19th-century “Beer Baron Row,” visit a popular gourmet doughnut shop, and end your tour at a Walgreens Pharmacy with an unusual secret: namely, a gigantic bank vault hidden within.